DJ left her corporate job to become an entrepreneur. She never thought she would be an entrepreneur until a friend of the family, John, offered to sell his delicatessen to her. John was confident DJ had what it took to succeed, even though she had no experience. He would teach her the business before fully retiring in 3 months, and even offered to finance the sale until she qualified for a loan. DJ jumped at John’s offer. She was thrilled to escape the corporate machine, the rules, the slow processes, and the limits of her authority. She now had a vision of independence and success, running her own business. Her benefactor shared everything he could about the business. He introduced her to his bankers, accountants and lawyers, and showed her the day-to-day operations and basic procedures he had followed for 30 years. He had a few dedicated employees that DJ could count on to help as she continued to learn. DJ soaked his instruction in and took copious notes to refer to after John was gone. As the 3-month period of overlap came to an end, she sensed a weariness in him she interpreted as old age and the need for a vacation. She was not concerned, because she was young, excited and confident about moving forward. When I met DJ, she was 5 years into owning her business. She shared the successes and challenges she had experienced since purchasing the deli. There were many aspects of the business John had not been able to share with her she was continuing to figure out. 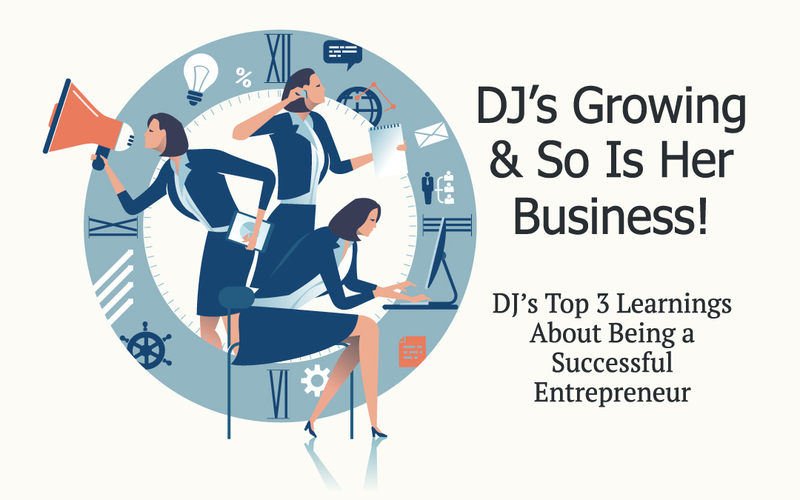 Proud of her accomplishments and experiencing rapid growth, DJ had recently opened a second location at the other end of town, and now had 20 employees. From the outside, DJ and her business looked strong, but internally, the foundation was crumbling. Opening the new location enlightened her to the next entrepreneurial challenge. She was able to manage one location and her people, but with two locations, she could not get her employees to run the business her way when she was absent. Customer satisfaction and food quality were wavering. Revenue and profits were decreasing. She felt her role had become one of putting out fires that the lack of procedures and employee accountability created. She felt more trapped than she had working at her corporate job! Her dream of owning a business had turned into the business owning her. In our coaching sessions, DJ realized the systems, rules, and regulations she had run away from in her corporate job were now needed for her business success. She laughed about the weariness John had shown, and how she never considered the entrepreneurial weight he had on his shoulders. That load was now transferred to her and she could not see a way out. Transitioning from manager to leader is one of the most important and sometimes the biggest challenge an entrepreneur faces. DJ had the common misperception that if she wanted something done right, she had to do it herself. She found herself micromanaging, which stagnated growth and creativity. She knew she needed to take risks with herself and her team to grow. Her style of leadership needed to be a mix of manager and leader at this stage. A manger controls and tells people what to do, but a leader inspires people by tapping into their internal knowledge of what to do. DJ’s team shared they felt they could not make decisions if she wasn’t there, for fear they would be wrong. DJ learned to trust them as she and the team developed new processes together. They surprised and delighted her with new ideas and their desire to take on more responsibility. She was able to slowly let go of control and trust her people. Her role as leader was to set the pace; be the visionary who enrolled her team in new ideas. The team got involved in planning and implementing their plan. DJ was able to focus on her expanding business by elevating key people to supervisor and manager. Her new management team managed day-to-day operations and met with her to discuss their goals, successes, and challenges. DJ continues to grow her business and is now balancing work and life in a new way. She shares with other entrepreneurs the importance of continued growth and learning. I have developed a special bond with DJ and the other entrepreneurs I work with because of my experience as a small business owner. I went through similar challenges of personal growth to achieve business growth. Your business grows at the pace of your personal growth. When you grow, your business grows.